Thank you Chris and the boys for such a super job replacing our flat roof. We were fortunate to be advised by Shaun and are very pleased with our Fibre Glass roof. Will definitely be having the other roof done now. Thank you Chris and the boys for such a super job replacing our flat roof. We were fortunate to be advised by Shaun and are very pleased with our Fibre Glass roof. Will definitely be having the other roof done now. Shaun and his team did a fantastic job on our beautifully renovated drive. The workmanship and professionalism can be really recommended. The work was completed in the time specified and we were kept informed on each process of the job in hand. 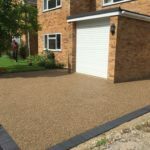 All materials and equipment were to a high standard making the finished job stunning..
We decided to opt for a resin bound driveway and after finding Peterborough Improvements on facebook decided to book a visit from Sean. After an initial visit from Sean who created a superb design mock for us to look at we decided to take the plunge and the most difficult part of everything was deciding on the colours. The guys were really efficient, friendly, helpful and cleaned up every day. 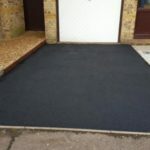 The end result is a stunning looking driveway that has created a lot of interest from our neighbours and passersby. 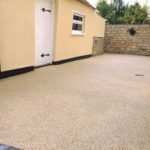 We decided to opt for a resin bound driveway and after finding Peterborough Improvements on facebook decided to book a visit from Sean. After an initial visit from Sean who created a superb design mock for us to look at we decided to take the plunge and the most difficult part of everything was deciding on the colours. The guys were really efficient, friendly, helpful and cleaned up every day. 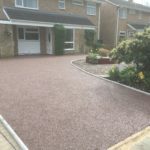 The end result is a stunning looking driveway that has created a lot of interest from our neighbours and passersby. The neighbours all around love it. Can’t recommend Peterborough Improvements enough. Wish we’d done it years ago. 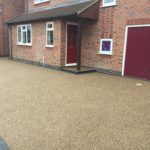 The front of our house has been transformed from a very tired looking part grass, part gravel drive to a truly perfect looking resin driveway. The installers are very professional and polite explaining the process as the go along. The neighbours all around love it. Can't recommend Peterborough Improvements enough. Wish we'd done it years ago. 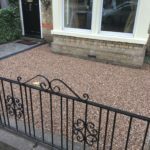 We’ve just had our old sloped gravel driveway replaced by the Peterborough Improvements team and we’re delighted with the outcome. 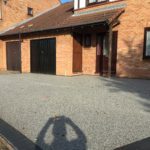 We've just had our old sloped gravel driveway replaced by the Peterborough Improvements team and we're delighted with the outcome. We had problems with water drainage and difficulty pulling on and off the drive due to the gravel on a slope. Those problems are all now resolved with our new resin surface. The new surface looks great! Thanks again!! The lads were helpful, friendly and professional and nothing was too much trouble. My driveway has been completely transformed thanks to Shaun's team. The lads were helpful, friendly and professional and nothing was too much trouble. I will be recommending them to family and friends. I must admit I never expected the final result to be quite as good as it is. Carl was fantastic and clearly knows his stuff. I would not hesitate to recommend them: thier quality of work is exceptional. So pleased with the transformation of drive and garden area. 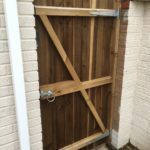 Darren and the team are extremely professional and I would not hesitate to recommend them: thier quality of work is exceptional. Felt in very safe hands. The team were very polite and kept me informed at every step of the way. Thank you all. We are extremely pleased with the result and neighbours have commented how good our Block Paving looks. Shaun and his team turned up as promised each day and worked hard to replace our drive with new block paving. We are extremely pleased with the result and neighbours have commented how good it looks. 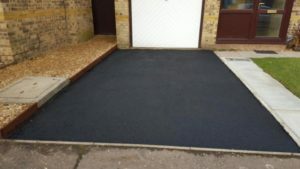 We wanted to get rid of a small graveled path which was a muddy mess, and came across bonded resin as an alternative. Next job was to find someone who could do a great job and we found that with Shaun and Paul who have produced a fantastic looking path that is easy to keep clean. Would have no hesitation in recommending them. Friendly people, great workmanship, efficient and a reasonable price considering the product. 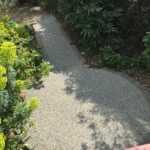 We wanted to get rid of a small graveled path which was a muddy mess, and came across bonded resin as an alternative. Next job was to find someone who could do a great job and we found that with Shaun and Paul who have produced a fantastic looking path that is easy to keep clean. Would have no hesitation in recommending them. Friendly people, great workmanship, efficient and a reasonable price considering the product. Thank you so much! What an absolutely brilliant job Steve has done installing new felt roof onto our extension. Whole job completed start to finish in a couple of days with minimum disruption. 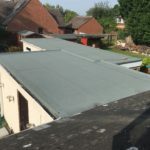 What an absolutely brilliant job Steve has done installing new felt roof onto our extension. Whole job completed start to finish in a couple of days with minimum disruption. Shaun and his team could not have done a better job with our driveway than they have. 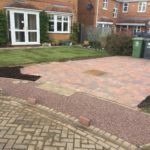 The Resin was most certainly tthe best option for us, it looks stunning and took just a few days to install from start to finish even with us deciding to change all the edging blocks. Top craftsmen, clean, tidy and highly recommended. Shaun and his team could not have done a better job with our driveway than they have. 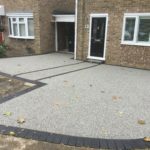 The Resin was most certainly tthe best option for us, it looks stunning and took just a few days to install from start to finish even with us deciding to change all the edging blocks. Top craftsmen, clean, tidy and highly recommended. I wanted to say thank you so much for the excellent customer service and prompt response to our queries. 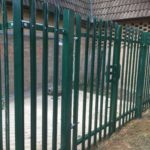 We are very pleased with the standard and quality of the work. We will definitely be recommending you. Thanks Shaun and Nick our front yard is transformed! I wanted to say thank you so much for the excellent customer service and prompt response to our queries. We are very pleased with the standard and quality of the work. We will definitely be recommending you. Thanks Shaun and Nick our front yard is transformed! Nick and his guys have literally just driven away after finishing my drive and front lawn and I have to say I am absolutely delighted with the work they have done. They were friendly, helpful and above all extremely professional and have done a brilliant job. They have gone above and beyond what I expected and have cleaned up thoroughly as well. What more can I say! I will recommend your company without hessitation and will certainly come straight back to you if I need anything else doing. Please feel free to use my garden/drive for publicity pictures and I am very happy for you to use me as a reference for potential customers. Nick and his guys have literally just driven away after finishing my drive and front lawn and I have to say I am absolutely delighted with the work they have done. They were friendly, helpful and above all extremely professional and have done a brilliant job. 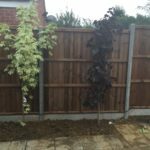 They have gone above and beyond what I expected and have cleaned up thoroughly as well. What more can I say! I will recommend your company without hessitation and will certainly come straight back to you if I need anything else doing. Please feel free to use my garden/drive for publicity pictures and I am very happy for you to use me as a reference for potential customers. Thank you so much. Prepared to do a little bit extra to make the finish just right. Excellent finished job. Very professional, reliable, hard working and prepared to do a little bit extra to make the finish just right. We are very pleased with our new patio and definitely will recommend to friends and family. Thank you so much for making our garden into a more enjoyable place. Excellent finished job. Very professional, reliable, hard working and prepared to do a little bit extra to make the finish just right. We are very pleased with our new patio and definitely will recommend to friends and family. Thank you so much for making our garden into a more enjoyable place. Nick and the team did an excellent job clearing our old drive and installing new drainage. Then they installed the Resin surface that looks great, really smart and neat. They worked really hard, including at the weekend to finish the job that had been delayed by bad weather. Am happy to recommend this company. Nick and the team did an excellent job clearing our old drive and installing new drainage. Then they installed the Resin surface that looks great, really smart and neat. They worked really hard, including at the weekend to finish the job that had been delayed by bad weather. Am happy to recommend this company. I would highly recommend to anyone considering them. 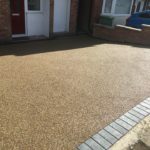 Huge thanks to the whole team at Peterborough Improvements, for completing the installation of our new resin bound aggregate driveway it looks utterly fantastic, such a huge improvement to our previous driveway. 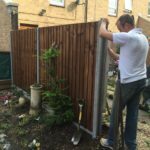 Darren and the team were really helpful throughout, and explained everything to us during the installation. I would highly recommend to anyone considering them. 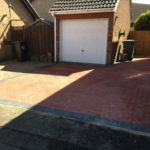 Shaun and the lads transformed my unsightly, cracked, uneven concrete driveway into a lovely flat beautiful drive I could be proud of. 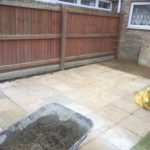 Shaun and the lads transformed my unsightly, cracked, uneven concrete driveway into a lovely flat beautiful drive I could be proud of. 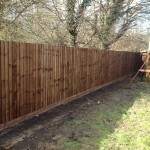 The work was excellent keeping me informed prior to starting and worked hard throughout to leave an excellent finish. Would highly recommend. 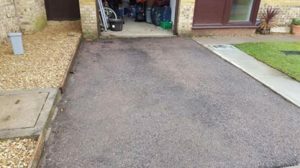 Recently had my driveway replaced with a resin driveway by Nick and the team. What a fantastic job! Very pleased and would highly recommend. The patio looks great and has really transformed the garden. Thank you so much for making everything so easy and for doing such a great job. Thanks to Shaun, Nick & the team for an outstanding job - you've exceeded our expectations on price and workmanship! The patio looks absolutely superb and we will certainly not have any hessitation in recommending you. If we decide to do any similar work in the future we will be in touch. 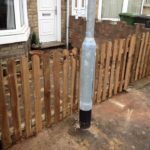 Peterborough Improvements did what they said they would do in the agreed time and for the agreed price. 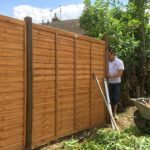 Their workmanship was excellent and Nick and all the workers were very polite and left everything nice and clean and tidy. 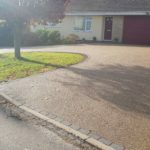 Thanks ever so much Nick and his guys for doing a fantastic job on the driveway, everybody who has seen it has been very impressed! Please feel free to give our details to your customers if they want to view your work. 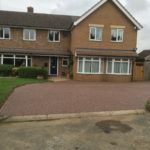 Thanks ever so much Nick and his guys for doing a fantastic job on the driveway, everybody who has seen it has been very impressed! Please feel free to give our details to your customers if they want to view your work. the driveway, you have been a pleasure to deal with. I will recommend you to everyone. I chose you out of 4 companies and I definitely made the right choice. 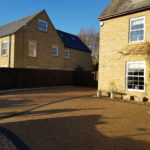 Hi Shaun, Just a quick note to say thanks to you and your lads for doing a fabulous job on the driveway, you have been a pleasure to deal with. I will recommend you to everyone. I chose you out of 4 companies and I definitely made the right choice. We have been so impressed with the professionalism from start to finish whilst working on our job. 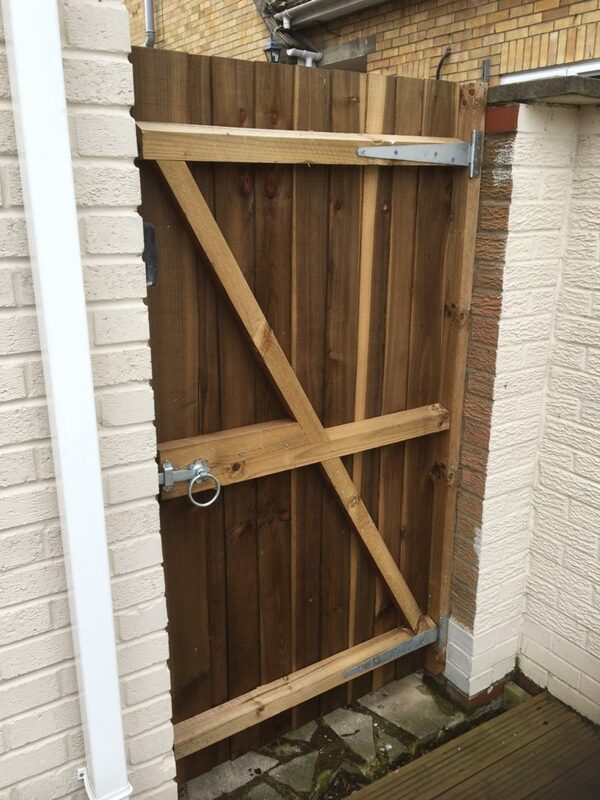 Shaun and Nick were so easy to deal with and we are extremely pleased with the end result. If you would like to use our drive as an example for someone to look at then you are more than welcome to do so. An excellent job and one of the better quotes we had in terms of price. Would not hesitate to recommend. Extremely happy with everything from start to finish. Shaun was very professional and made sure everything was completed on time and for a good price too. Will certainly be using when we need any other work on the house or garden. Extremely happy with everything from start to finish. Shaun was very professional and made sure everything was completed on time and for a good price too. Will certainly be using when we need any other work on the house or garden. 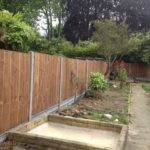 Would you like a free quotation for your home improvement project?